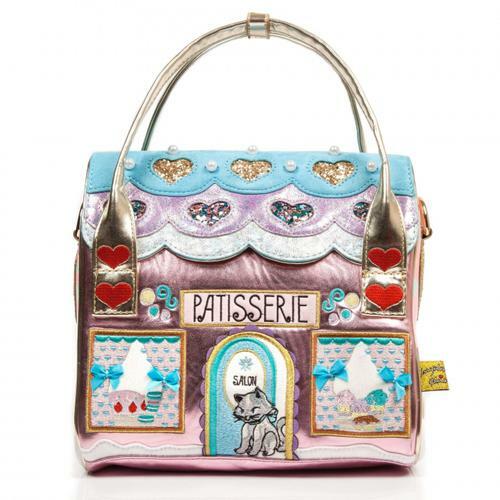 This gorgeous Round and Round bag is a limited edition beauty from Irregular Choice! Featuring an iridescent applique carousel horse with metallic pole and pastel embroidery, on top of a beautiful blue sky fabric complete with fluffy white clouds and gold embroidered sparkles. There is also red applique embroidered lettering spelling out the word 'carousel' outlined in gold, and glitter applique stars on top of a scalloped metallic pink fabric with gold glitter in both bottom corners. 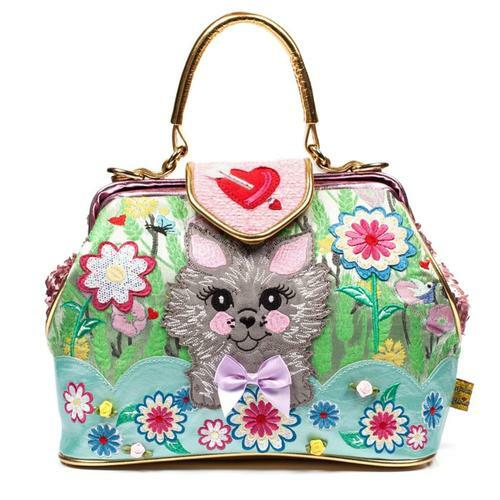 The top of the bag is comprised of metallic, iridescent and glitter fabric with aqua glitter stars that attach to purple and white diagonal striped handles with a blue metallic top. This spacious bag has a zip fastening with red stars to keep all your treasures safe and a detachable handle strap that's also reversible. 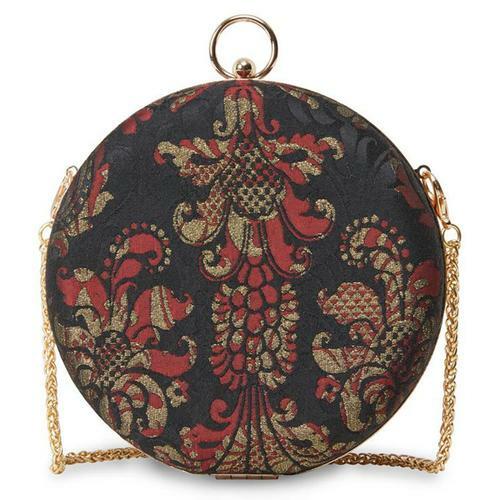 Take the fun of the fair with you wherever you go with this fabulous Round and Round Irregular Choice bag! 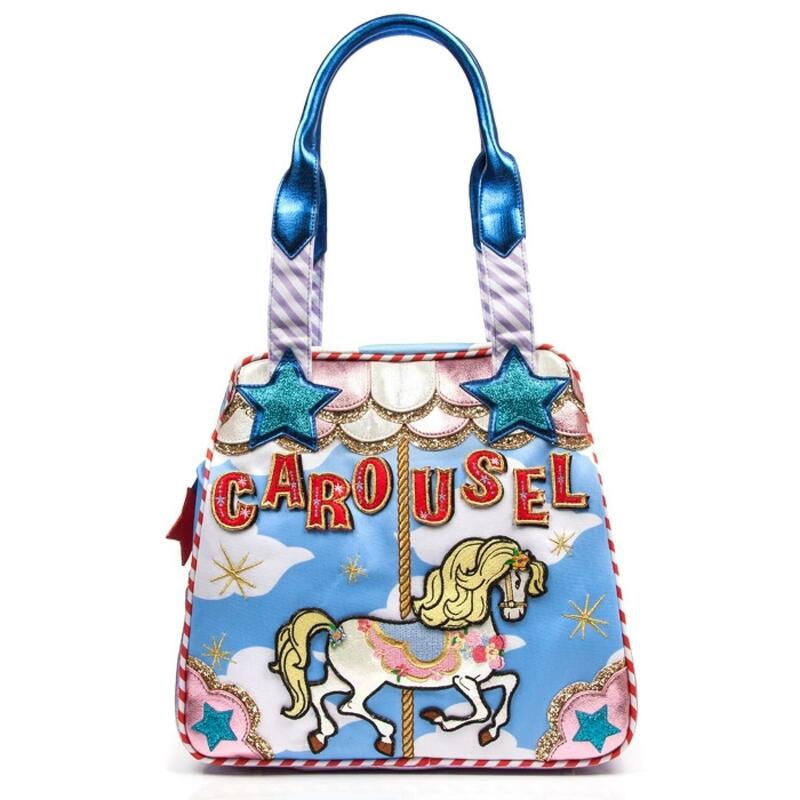 Round and Round carousel bag in blue by Irregular Choice. Sky fabric material with embroidered sparkles. Applique carousel horse, lettering and stars. Iridescent, metallic and glitter fabric. 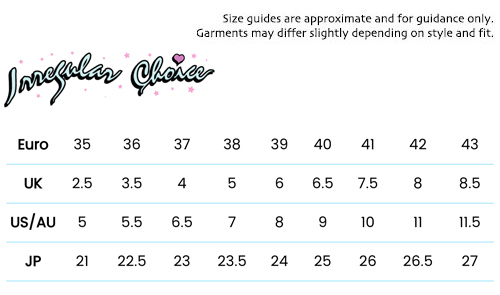 Fully lined inner with pocket.